After having several of its titles become the subject of removal threats by the Steam storefront, h-game and visual novel publisher MangaGamer will begin to publish on CDProjektRED's GOG platform. "This opportunity couldn't have come at a better time. We had been speaking with GOG prior to recent events about adding visual novels as a genre to their retail platform, and with Valve now threatening the livelihoods of visual novel developers everywhere, it's a huge relief to see GOG opening their doors to these games." For the time being, this will not be a full move. 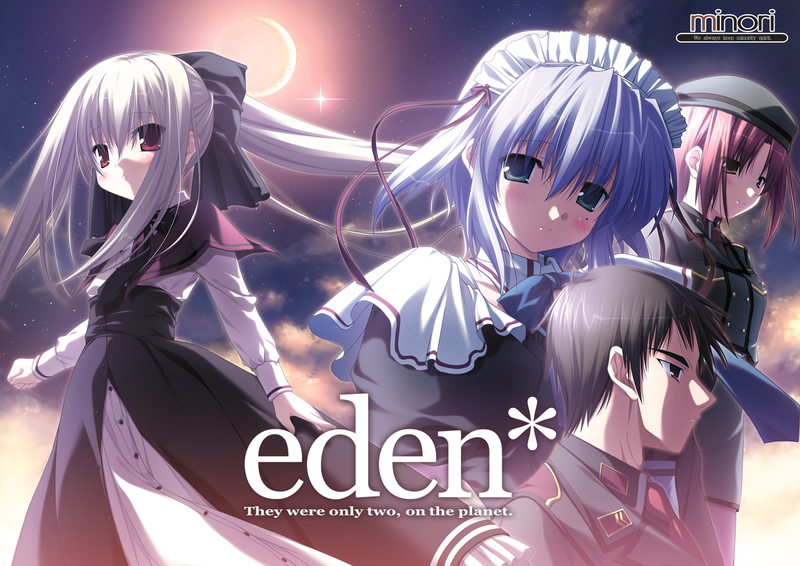 MangaGamer is still selling on Steam, and the only titles that are being published on GOG at present are the fan-favorite sci-fi novel eden*, and the horror/mystery Higurashi: When They Cry series. "Steam has now proven that it's growing unreliable for small and independent developers, so we are very grateful to have the next biggest retailer in the PC market welcoming Visual Novels with open arms and an eye for quality. In the long run we hope to transition our full Steam catalog over to GOG, and we hope other developers will consider reaching out to them too. We want fans everywhere to always have a means of enjoying these great titles." You'll notice from the GOG frontpage that MangaGamer isn't the only publisher making this move. Sekai Project has also begun bringing titles over, including the Sunrider and Fault series. We'll keep you posted as this story progresses and as more devs and publishers react to the current change of paradigm on Valve's Steam storefront. For more news on developers, publishers, and the visual novel/eroge industry in general, be sure to follow LewdGamer on our Twitter and Tumblr accounts.